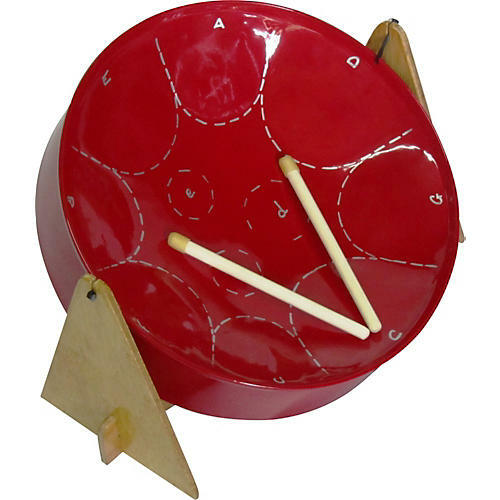 The Rhythm Band Mini Pan Steel Drum is the perfect way to introduce young students to the sounds of the Caribbean. The Mini Pan steel drum features 11 notes in the C Major scale tuned to A440 and has a 3-inch skirt curled at the edge for child safety. The Mini Pan includes a stand, sticks and instructional song booklet.